A British entrepreneur, whose Los Angeles-based company has a solution for the 16 million metric tonnes of Nitrous Oxide produced by the US transportation sector annually, has already achieved more than £480,000 of the targeted £500,000 of its latest crowdfunding campaign for its next round of investment. According to the United States Environmental Protection Agency more than 325 million metric tonnes of N2O (Nitrous Oxide) is produced by US, 5% of that from transportation with heavy-duty on-road vehicles accounting for 70% of all freight transport and 20% of transportation-sector greenhouse gas (GHG) emissions in the United States. The impact of 1 pound of N2O on warming the atmosphere is almost 300 times that of 1 pound of carbon dioxide. The US currently produces around 10% of the world’s N2O emissions. N2O is a highly potent greenhouse gas with a global warming potential of 310 times that of CO2. The company’s technology can be retrofitted to vehicles in just four hours. 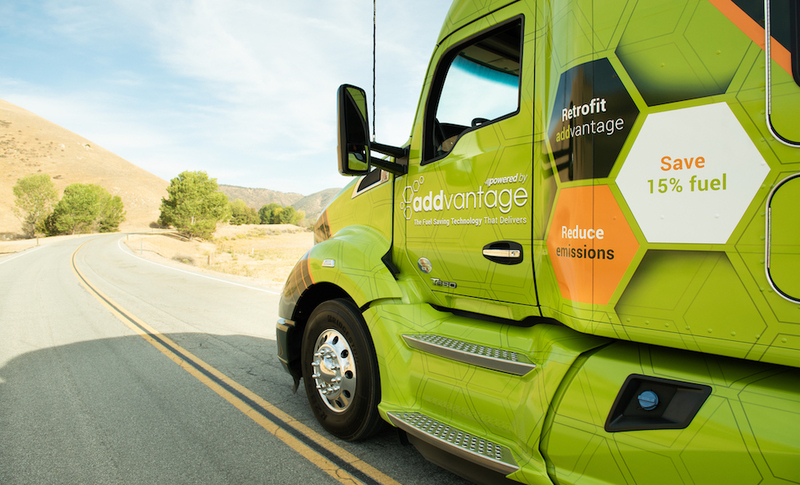 It had been ten years in development, and after rigorous testing and accreditation, fleets in Europe have proven addvantage works in real-world testing and are now rolling out addvantage to their entire fleets. A precise amount of LPG (propane) is injected into the intake air to create a mix of air and LPG. Its job is to enhance combustion. This improves efficiency of the burn, delivering the increase in fuel-efficiency. addvantage uses telemetry data from the truck’s own electronic controls to calculate the exact amount of LPG to inject for each revolution. It claims, for example, that a company with a fleet of 500 trucks driving 100,000 miles per annum per truck at an average of 6.5mpg could see a net saving of around $1.6m per annum. And there are approximately 4 million Class 8 trailer vehicles operating in the US at the moment. The company’s figures have been verified by Emissions Analytics Ltd, the leading independent global testing and data specialist for the scientific measurement of real-world emissions and fuel efficiency for passenger and commercial vehicles and non-road mobile machinery. UK customers are also now planning to install addvantage across their fleets following successful trials. MJD Group have reported an average 15% improvement in MPG, while Wells Farm Dairies saw a 20% reduction in fuel consumption and CO2 emissions. Sign up today to comment on our news articles and to have full access to all of our online services! It's free to register and will take you seconds to set up your user account! 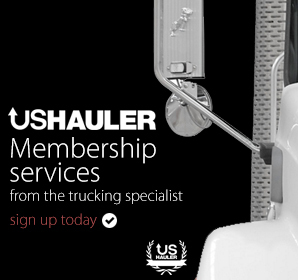 With the US Hauler RSS service you can take our unique coverage, free of charge and incorporate them into your preferred RSS newsreaders or website. Copyright © 2019 US Hauler All rights reserved.